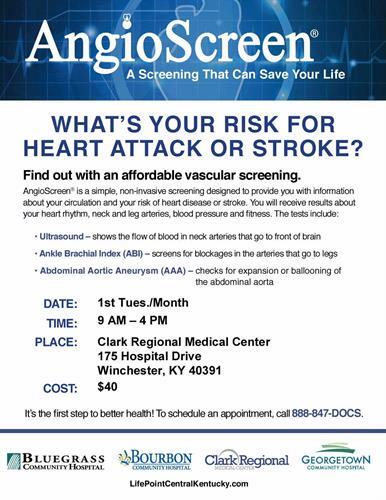 AngioScreen is a simple, non-invasive screening designed to provide you with information about your circulation and your risk of heart disease or stroke. You will receive results about your heart rhythm, neck and leg arteries, blood pressure and fitness. Call 888-847-DOCS to schedule your appointment!